One minute they're there, the next they're gone. It s impossible to keep track of your pets every minute of the day and night. As a pet owner, you know what a worry the prospect of them disappearing can be. No matter how careful you are, there is always the chance that your pet will go astray. 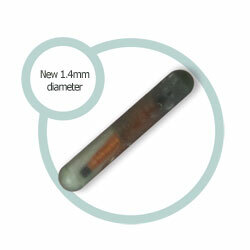 In particular, if you are always with your pet in unfamiliar surroundings, it s all too easy to become separated..
A smaller diameter (1.4mm vs 2.12mm) allows for a smaller needle diameter (1.8mm vs 2.6mm) which means a less invasive and painful implantation. The bioglass mini microchip is made up of bioglass, and is coated in a parylene layer that reduces possible migration of the microchip. The weight of chip is 33% less which reduces the possibility of migration. A unique ergonomic design ensures better prehension and a smoother implantation. The anti-return click system and visual check guarantees the correct implantation. Rubber o-ring on the plunger enables better depression control. Luer Lock system ensures secure needle attachment during implantation and easy detachment for waste management. 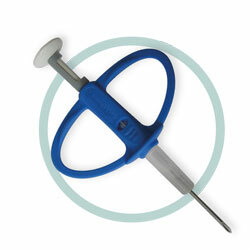 Anti-fall system ensures that the transponder remains in the needle until the implantation time. The needle’s bevels and its layering with siliconised oil favours the painless implementation of the cannula inside the animals tissues. 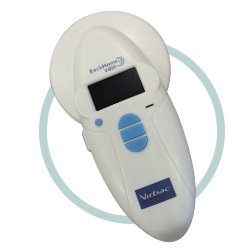 The BackHome® scanner creates an energy field when it is switched on and picks up the signal from the microchip as it enters the field of the scanner. Each pet requires a single BackHome BioGlass mini microchip. The process is simple and causes no more discomfort than other injections. Pets of all sizes from small birds, exotic pets and fish to dogs, cats and horses can be microchipped. BackHome BioGlass microchips are durable and shock proof. They will last a lifetime. By keeping your details up to date on the BackHome Database you can trust that your pets will be returned to you if they are found, should they stray, be injured or stolen. When you next visit your veterinary practice, whatever the reason, simply ask about BackHome microchipping. It s likely it can be done at the same visit. 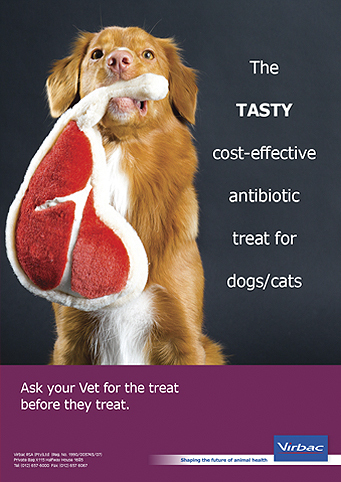 The first course of vaccinations of young pets is the ideal time to have them chipped . That way they are literally protected for life.